Recently, I was asked by someone I had just met what my favorite vegetable was to grow. And as I sat there, trying to think, a dozen or so options flew through my mind. But suddenly it was difficult to narrow it down to just a vegetable - what about all edibles? 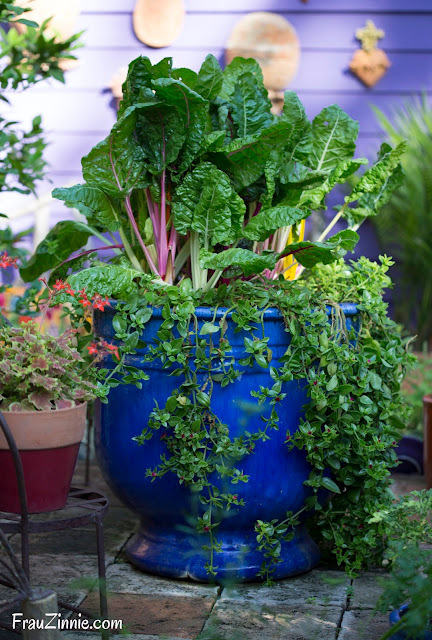 Thanks to #gardenchat - a Monday-night event via Twitter where gardeners from around the country (and world) can get together to discuss all sorts of gardening-related topics - I've been able to connect with several smart, funny and kind women. 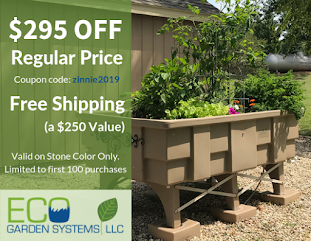 The more I thought about the edible question, the more I realized it would be great to ask my online gardening friends - and four graciously agreed to be featured here and share their favorite ones to grow! Without further ado, meet Helen, Bren, Beth and Alison! 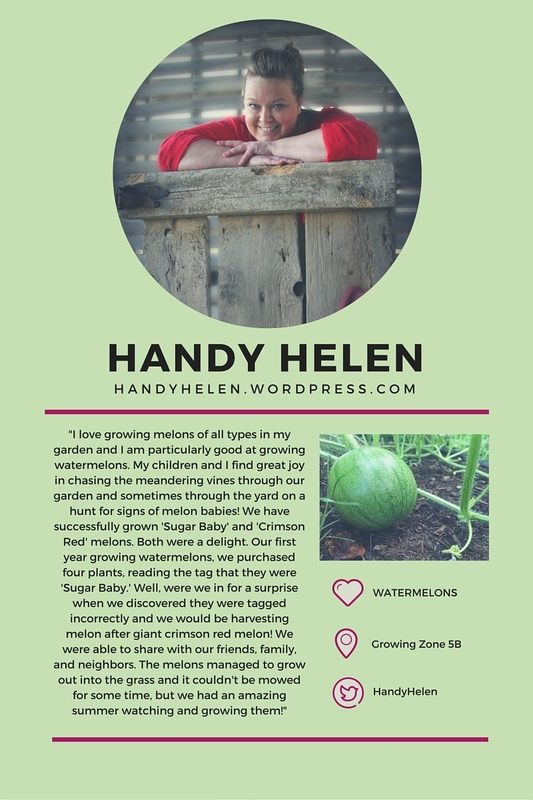 To see more of Helen's gardening adventures, be sure to check out her Twitter feed! 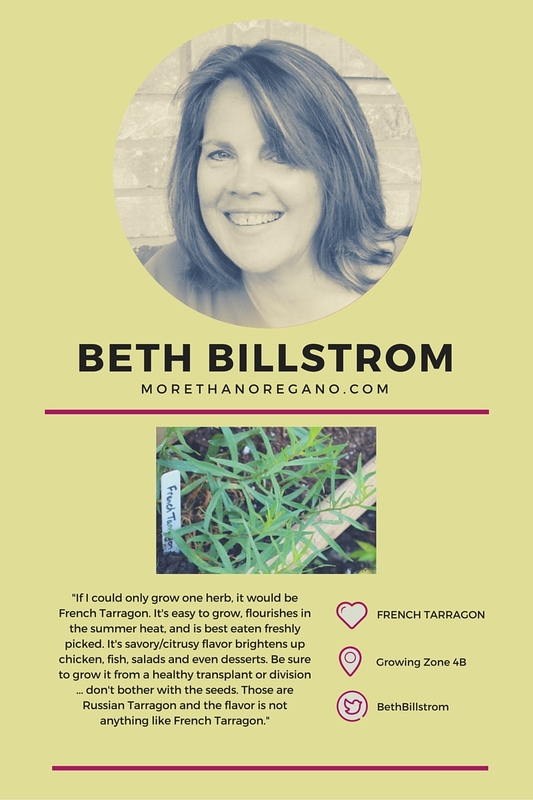 Beth has a lot more to share about French Tarragon - visit her website to learn more! 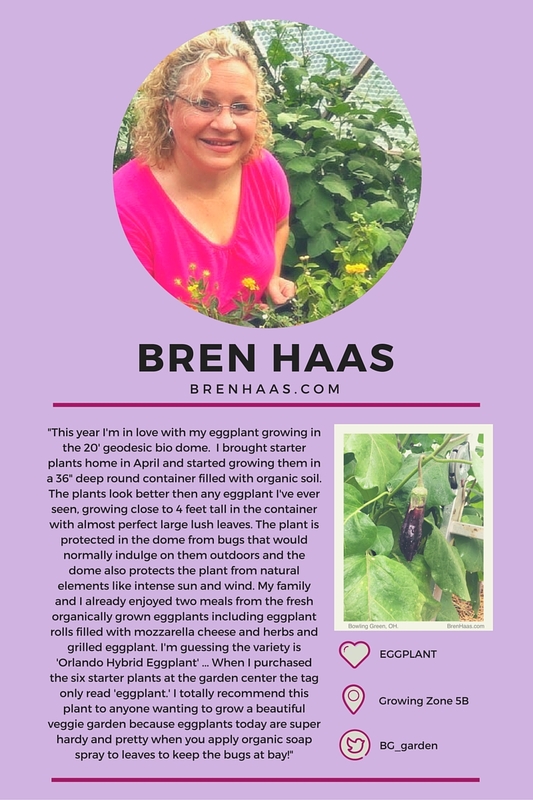 Bren shares two of her recipes mentioned above at her website. Learn more about making eggplant rolls and grilled eggplant! 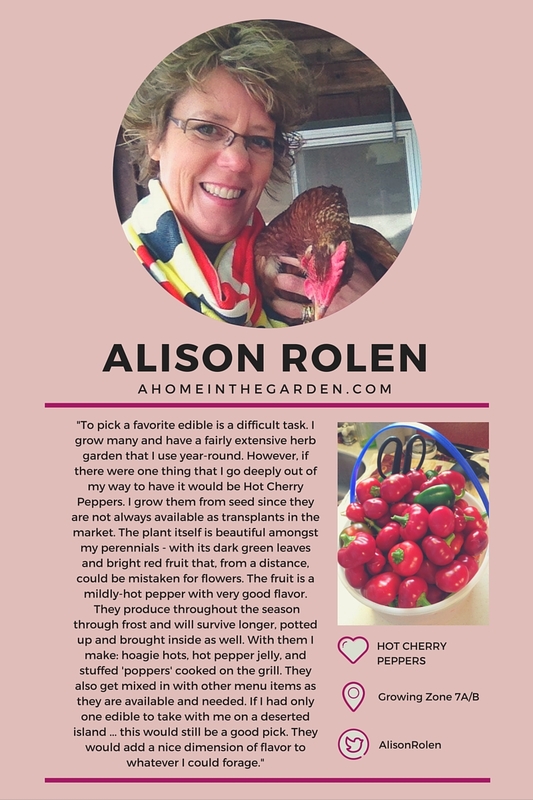 To see more of Alison's gardening adventures, be sure to check out her Twitter feed! After all these great suggestions, I thought more about what my favorite edible I grow is. Hands down, it has to be my Kieffer pears. Not only does it go for the "wow factor" with the yield (last year I harvest more than 200 pounds of pears!) but it's pretty versatile in the kitchen because it's a cooking pear. I've made pie, crisp and even baklava from this delicious fruit. It stores well in the fridge so it lasts me through the holidays. The best part - I don't spray my tree at all, so it does a fairly decent job at repelling pests. I bought it when it was a few years old, and it started to produce for me the year after I planted it. 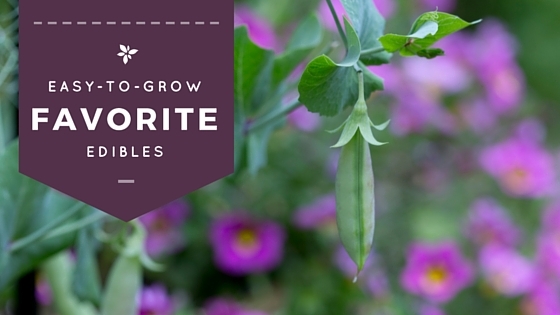 What is your favorite edible to grow? Let me know in the comments section below! 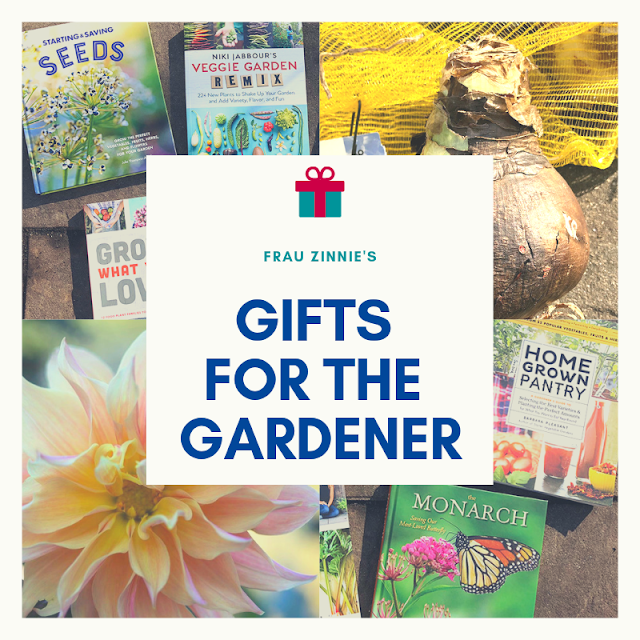 *All images used in the info graphics were contributed by the featured gardener. The pears sound amazing... I wonder if you soak the pear in salt water if that would get the little bugs out so you could still enjoy them in pies and jellies? You know I've never had a problem with bugs inside - sometimes if I leave them too long on the tree they ripen too much and the yellow jackets start to go after them.